The River's Fortune is on sale now! "Gambling was in his blood, but the ecstacy of winning was only part of it. He knew casinos equated to people.... they were family to him. Gamblers were his way to escape loneliness.."
Drake Dawson, age 42, searches for an elusive meaning to his life. He leaves behind his addiction as an international gambler, failed relationships, and blunders as a Private Investigator. After several odd jobs, he lands a position as security officer on a Mississippi River riverboat cruise ready to introduce gambling. He confronts a desperate criminal, with ties to the mafia, who plans a robbery and an escape to a mystery woman. Dawson tracks the fugitive wherever the trail leads, to regain his self-esteem. Meanwhile, Dawson meets Cindy Baxter, age 34, who has taken a cruise to forget her traumatic past and break out of her lonely life. 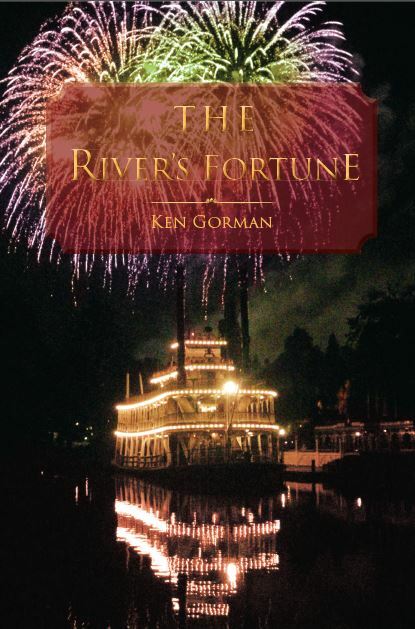 Purchase The River's Fortune in softcover or for your Kindle today! Purchase the softcover version at Amazon! Purchase for your Kindle at Amazon!